Traditional Mid Terrace Family House in a Handy Location. Walking Distance to Port Jack Glen, Shops & Onchan Park. 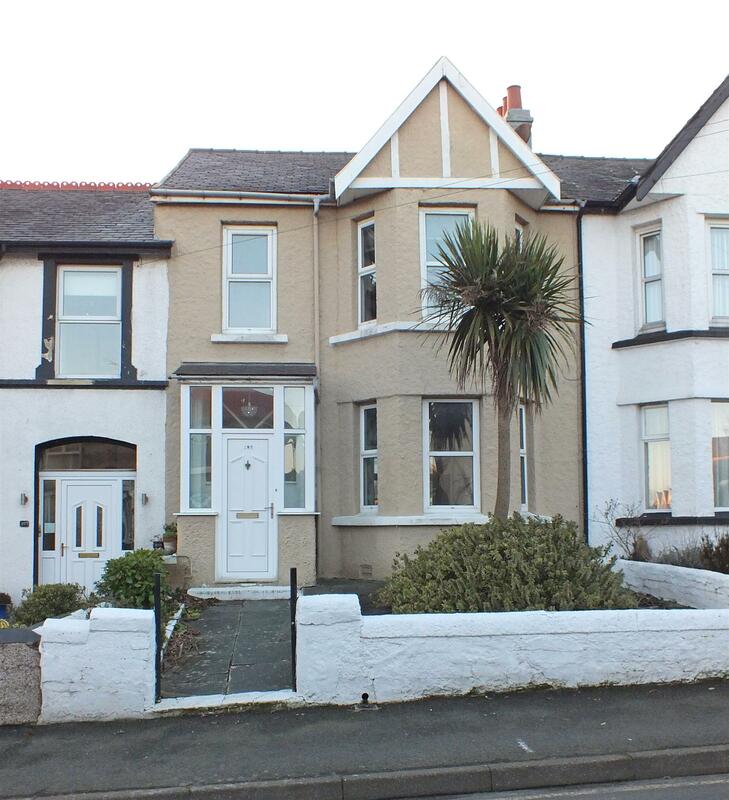 Easy Access to Both Onchan & Douglas Town Centres. Spacious Reception Hall with Understairs Storage. Semi Open Plan Lounge & Dining Room. Kitchen with Modern Units, Utility Room & Workshop/ Store. 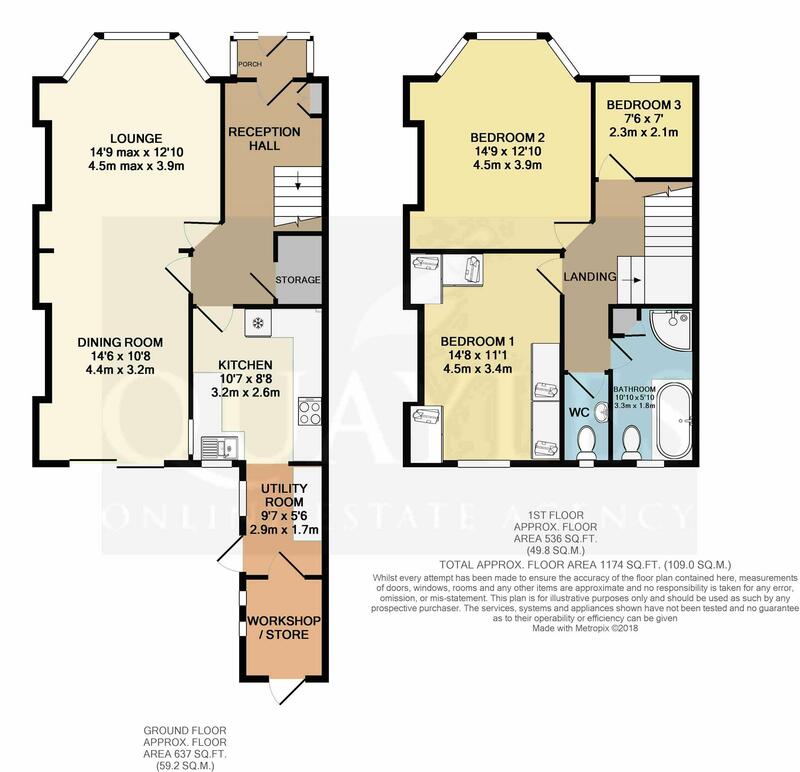 3 Good Size Bedrooms (2 Doubles - 1 With Fitted Furniture). Generous Bathroom with Large Bath, Shower & Pedestal Basin. Adjacent WC with Wash Hand Basin. Excellent Potential for Loft Conversion Sub to Usual Permissions. Gas Fired Central Heating, Predominantly Double Glazed. Front Garden, Enclosed Rear Garden, Parking Bay & Garage. Travel into Onchan village via Douglas, passing the Petrol Station on the left. Continue on past the post office on the right, pub and co op etc. Take the next right turn after the traffic lights into Royal Avenue and continue down. Number 109 will be found towards the bottom of the road on the right hand side, being clearly identified by our For Sale board. Having a uPVC entrance door with matching glazed top and side lights. Original part glazed door to the reception hall. A spacious area with stairs leading off to the first floor. Built in cupboard housing the electric meter and consumer unit. Understairs cupboard. Double power point. Telephone point. Smoke detector. Dado rail. Original glass panelled doors to the lounge, dining room and kitchen. Vinyl floor covering. Having a uPVC bay window to the front and period style radiators. Coved ceiling and picture rail. Vinyl floor covering continues through a clear opening to the dining area. A naturally bright room with sliding aluminium doors to the rear garden. Glass fronted multi fuel stove set on a granite hearth with a wooden surround. Internal window to the kitchen. Picture rail. Fitted with a good range of beech effect wall, drawer and base units together with granite effect work surfaces and matching breakfast bar. Inset 1 1/4 bowl sink with a mixer tap. Background tiling. 'Firenzi' electric oven and matching ceramic hob with a filter hood above. Integrated fridge. Wine rack. Wood effect laminate floor covering. Timber framed rear window. Modern ceiling lights. Smoke detector. Clear opening to the utility room. Fitted with wall and base units to match the kitchen. Plumbing for a washing machine and space for a dryer or freezer. 'Vaillant' gas fired combi boiler. Fitted uPVC double glazed window. Vinyl floor covering. A half glazed uPVC door leads out to the garden whilst a glazed inner door leads to the workshop / store. Light and power points. Timber framed glazed panels. Fitted WC. Wooden door to the rear garden. Shelving. Access to the part boarded loft via a pull down aluminium ladder. Excellent scope for a loft conversion subject to building regs. Dado rail. Smoke detector. A single room with a uPVC window to the front. Telephone and power points. An excellent double room with a uPVC bay window to the front. Feature fireplace with a tiled backing and hearth along with a wooden surround. Picture rail. A naturally bright double room with a uPVC window to the rear. Fitted with a superb range of beech effect furniture including drawer units, a double combi wardrobe, further wardrobes, overhead lockers and beside drawers. Fitted with a white WC and wash hand basin with lever taps. Obscure glazed timber framed window. Wood effect floor covering. A well proportioned room which has been fully tiled in white to match the modern suite of large double ended bath with a mixer shower attachment, push button flush WC and a pedestal basin. Inset wall mirror. Large quadrant enclosure with a fully plumbed shower and aquaboard backing. Built in airing cupboard. 'Silavent' extractor. Obscure glazed uPVC window. Tiled floor. Chrome ladder style towel warmer. To the front is a small walled garden. Having wooden double doors onto the rear service lane. Additional door and window to the side. Gated access to the rear garden. Having a patio, grassed area and deck. Cold water point. Light. All mains services are installed. Gas fired central heating. Predominantly double glazed to house with some original timber framed windows.